Evidently Apple co-founder Steve Jobs’s “If you see a stylus, they blew it” admonition of the iPad’s tablet rivals doesn’t apply to Samsung’s Galaxy Note. 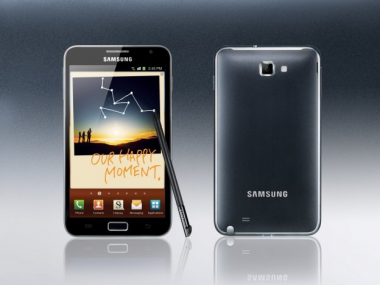 Samsung said today that it has shipped more than one million units of the Note, its stylus-bearing … phablet hybrid. This just two months after its U.K. launch. Question is, is that market large enough to sustain the Note? It certainly wasn’t big enough to sustain Dell’s Streak 5, a similar smartphone-tablet hybrid that was scrapped about a year after its debut.